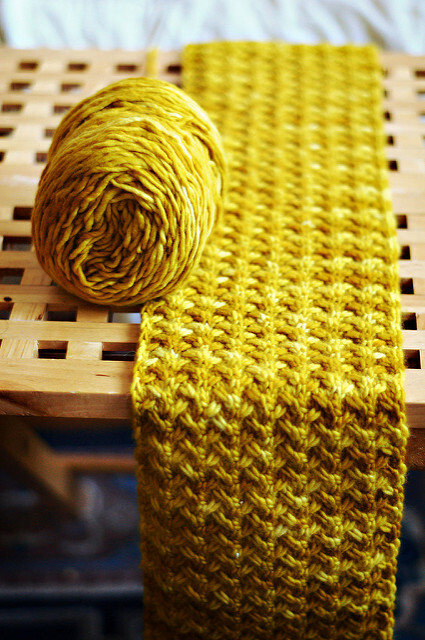 Homepage » Knitting » [Free Pattern] Very Fast And Simple Knitted Scarf With Amazing Texture! This beautiful, classic pattern will remain stylish for many years! Shifting Sands Scarf by Grumperina is easy to knit, and pick up where you left off after an interruption. 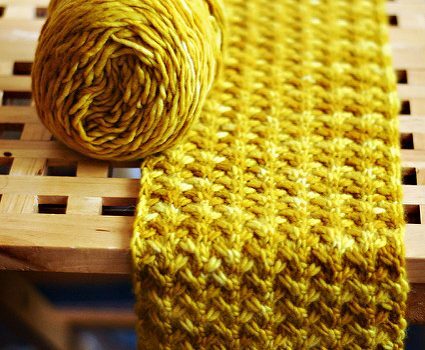 The cables add great texture while remaining incredibly easy and not boring. The stitch definition is so wonderful.This easy-peasy pattern is fun to knit and makes the perfect travel project! Sundara Yarn sport merino, 100% superwash merino, 225 yds. per 100 g skein; Somewhat Solid in Tan over Cream, 2 skeins (3 skeins are required if you’d like to add fringe or make the scarf longer/wider). Or substitute approximately 450 yds. (more for fringe or longer/wider scarf) of another sportweight yarn. US 5 / 3.75 mm needles or size appropriate for your yarn. Cable or double-pointed needle (or click here to learn how to cable without the aid of an additional needle). Crochet hook for optional fringe. Check out the original source for the Very Fast And Simple Knitted Scarf Free Pattern with all the directions and full written pattern at: Grumperina. Thanks to Grumperina for the article inspiration and featured image. [Free Pattern] Lovely, Colorful Dishcloths!